Mood Bracelet - bracelets with attitude. 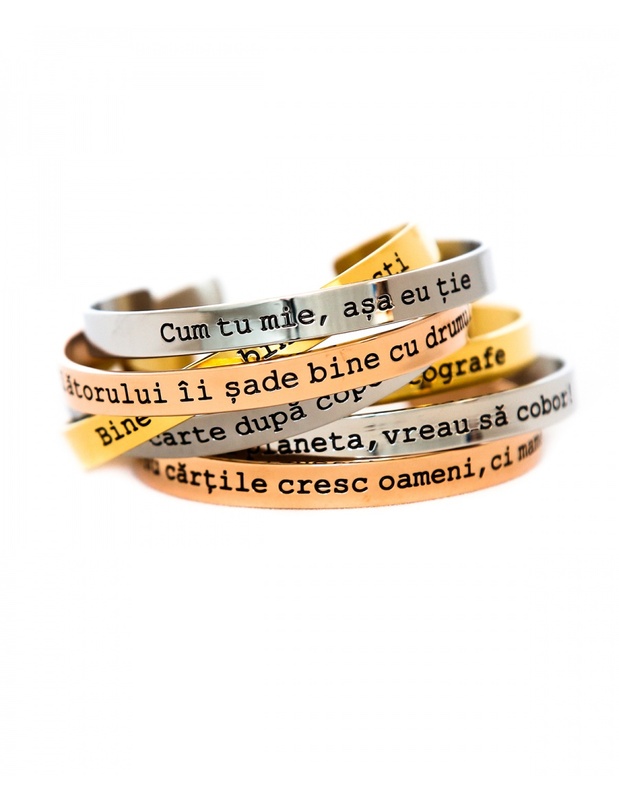 Our new bracelets are created especially for you and use native messages that express your mood or attitude. Show your personality by choosing the right message: Be YOU! 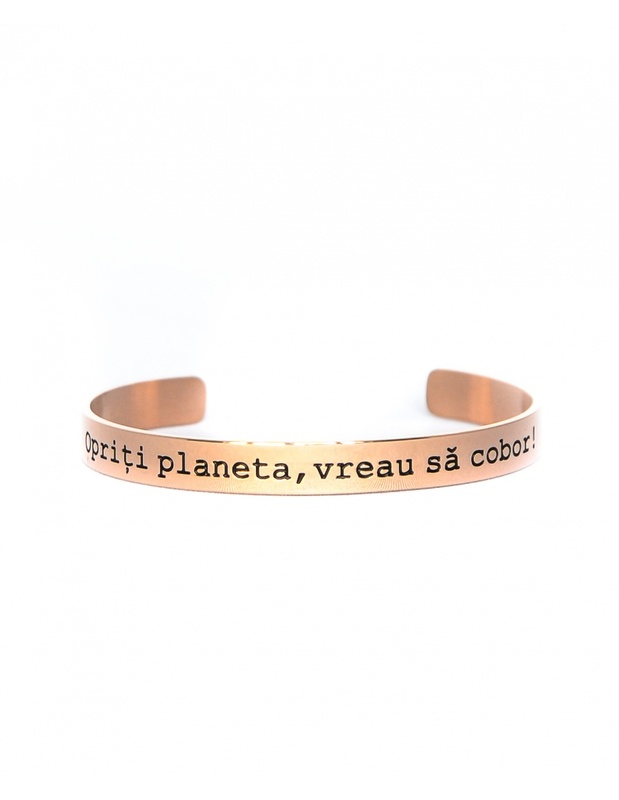 Mixing fashion trends by selecting the design of these bracelets with its message, we gave birth to a jewelry that not only looks great, but says much more about yourself. It's up to you to choose the right message. Our indigenous proverbs and sayings are chosen in order to reach the whole range of moods and feelings of each... the chick in love, to the bold, independent, outraged, dreamy, grateful and not only. Composition: Material: stainless steel plated with 18 karat rose gold. Care: Wipe with a soft cloth. Avoid frequent contact with water, especially with harsh chemicals, such as detergent, bleach, cream, perfume, etc. Storage the bracelet in its bag. Miscellaneous: Diameter: Adjustable. Width: 0,7cm.